Hello everyone, I have already posted about making PDF files from computer. 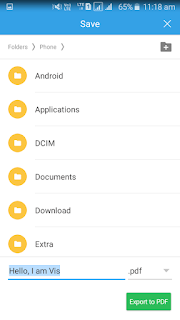 In this article, we learn how to make PDF files from android smart phones. 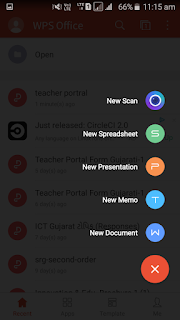 PDF file is best file to share your documents. 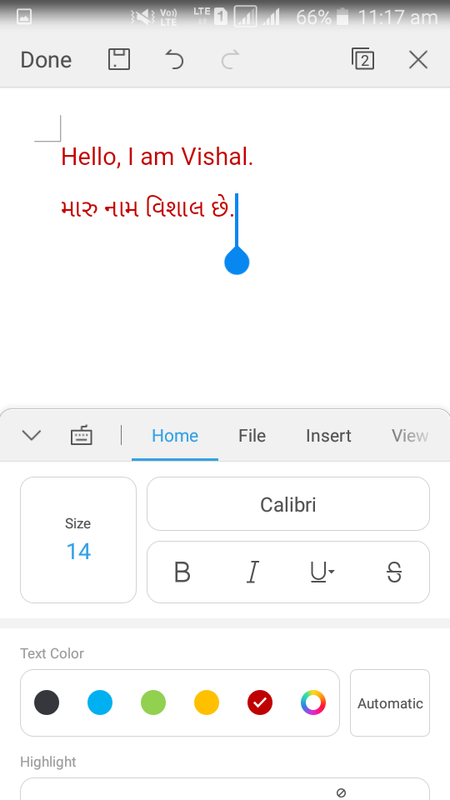 You can attach photos and write your text in file. But, the question is that how to make PDF file with our smart phones. I will see you step by step information to make PDF file with screenshot images to learn easily. You may like this :- How to make PDF files from word, excel & PPT using computer ? 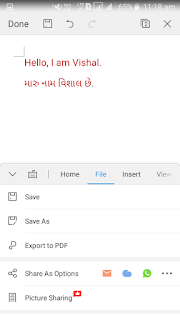 For making PDF file from android device, we need one office suit app. 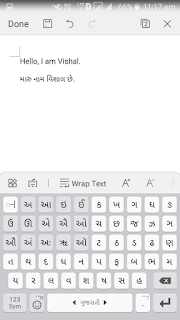 Office suit app means MS office app for android smart phones. We can see and edit word, excel and powerpoint files using these office suit apps. 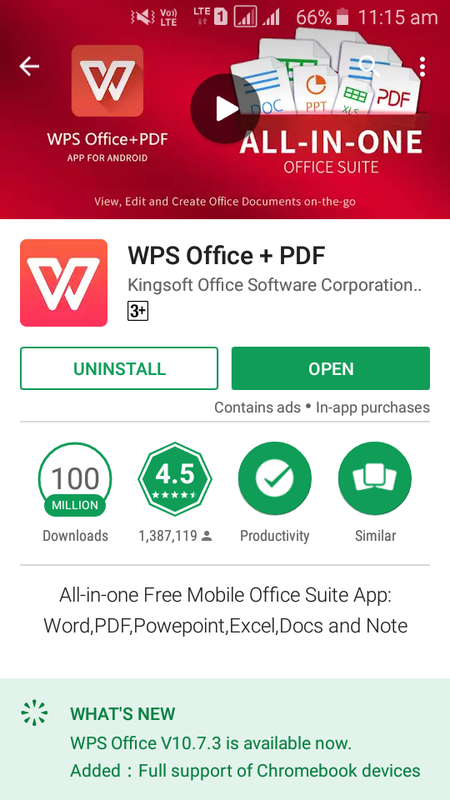 There are so many office suit apps available on Google Play but, I suggest you to use WPS office app. Read all files of word, excel and powerpoint. 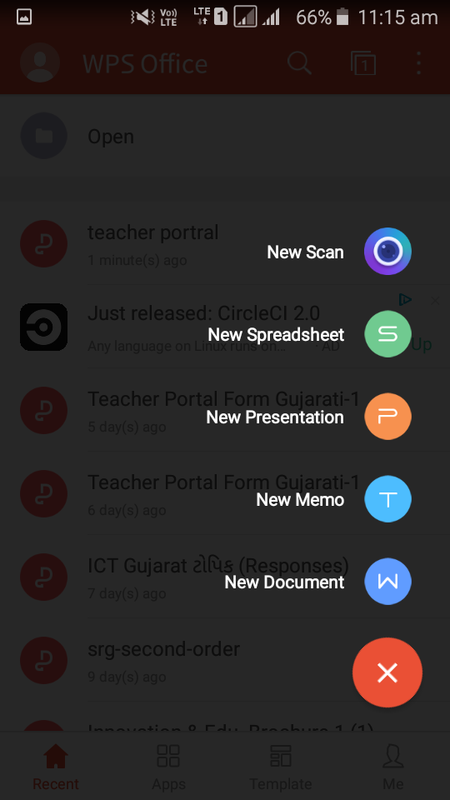 More advance features like computer office app. 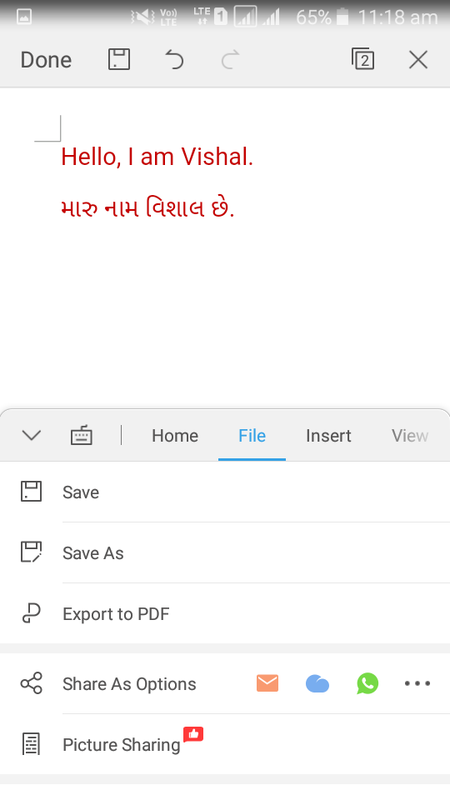 You can make PDF file easily. You make files in your langauge. 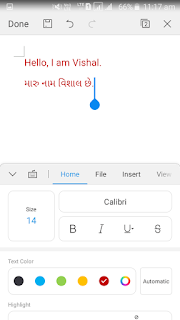 It supports google indic hindi and gujarati fonts. 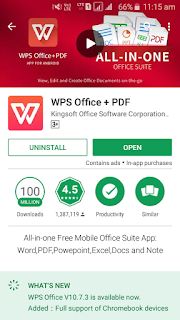 Step 1 : Go to Google Play Store and search WPS app and install it. 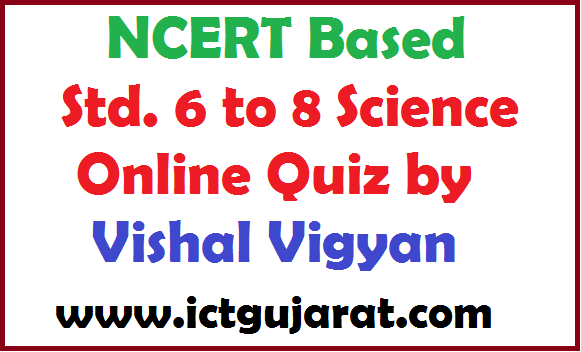 Or for direct link, click here. 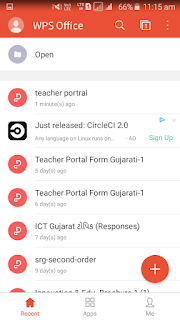 Step 2 : Open WPS app from your android phone. You can see following screen. Step 3 : Click on + button from below as we show in previous step. After pressing that. You can see many options like as in below screen. Then select New Document. Then click on Blank page. 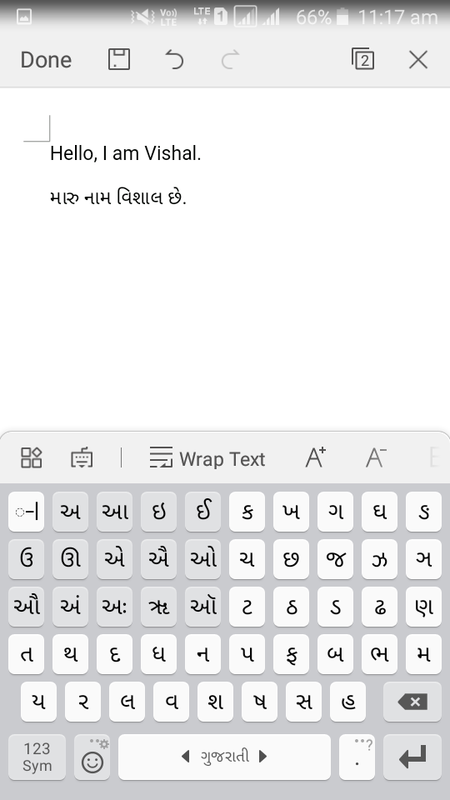 Step 4 : Now, you can write anything you want in your language. Step 5 : Format your text. Change size or color from 'Home' menu. This menu is four square. 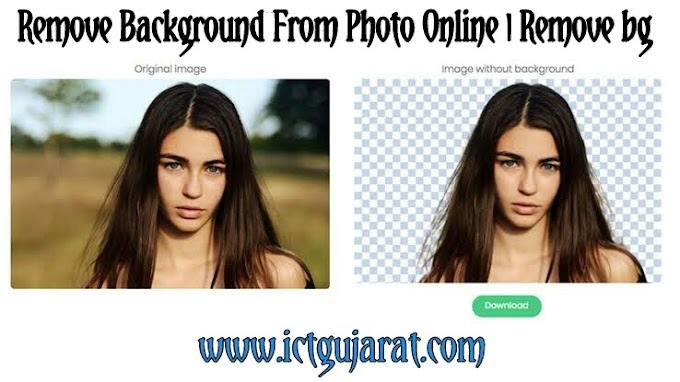 You can add images or header/footer using 'Insert' menu. Step 6 : Click on 'File' menu. You can see 3 options. Save means to save this file in .doc formate. But, we will click on Export PDF option to save in PDF. 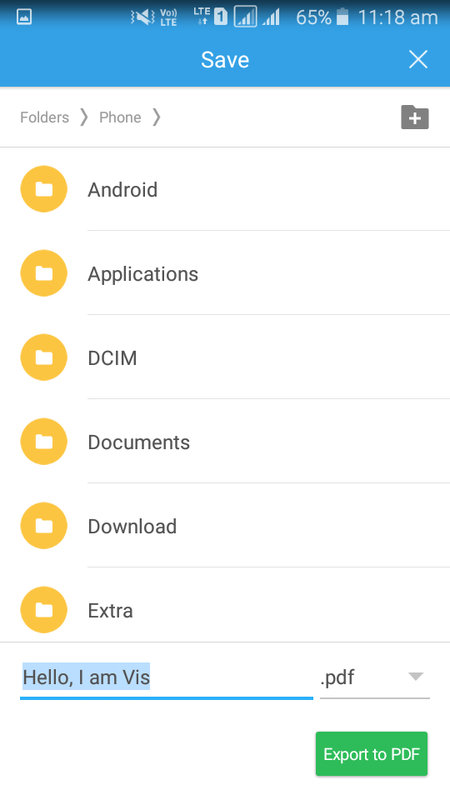 Step 7 : Choose your location for save this file in your android phone. Click on Export To PDF green button. Hurray !!! Your PDF is ready. 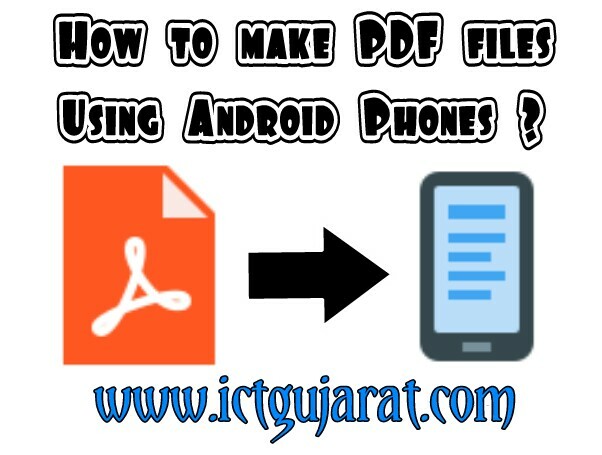 Here is the complete guide with images to make PDF files using android smart phone. Read more articles like this about technology and make your education more rich. 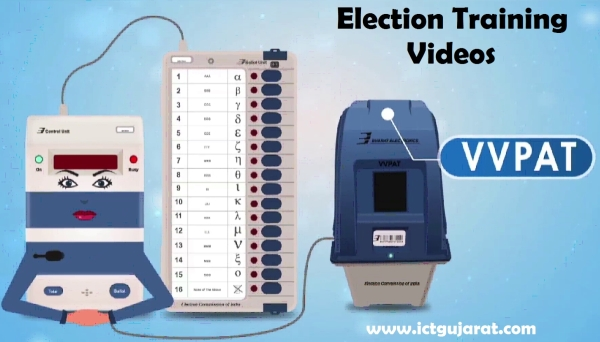 Visit this website daily for more.